There’s a myth in the religious world, even among Latter-day Saints, that if someone takes their own life, it’s a one-way ticket to an eternal Hell. That’s simply not true. In other words, those who take their own lives are so much more than that one desperate decision they made. We would do well to remember that, and we’d do well to remember that God remembers that, too. Of course, God commands us not to take life, including our own. It’s not a good thing to do, we don’t want to give the impression that it is, but final judgment belongs to the Lord. He knows their heart, their circumstances, and their struggles more intimately than any of us can imagine. And that should give us hope. If you or someone you know struggles with thoughts of suicide, let’s get you some help. 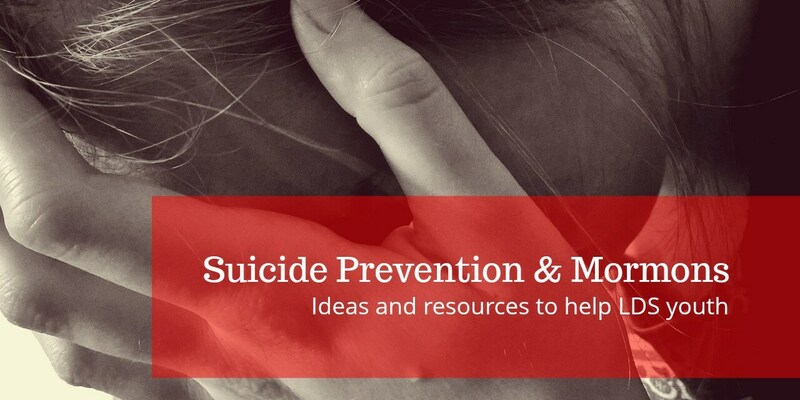 Suicide-dot-lds-dot-org has tons of resources, from how to recognize warning signs to recovering from a suicide attempt or coping with the loss of a loved one. There’s a list of international crisis helplines and non-Latter-day-Saint resources if you’d rather go that route. We’ll throw a bunch of helpful links in the description. We just want you to be OK, we want to help you to keep pushing forward in any way we can, and we want you to know that there is still hope for you, for me, and for our friends who have taken their own lives. Here are some articles from the Church about suicide.